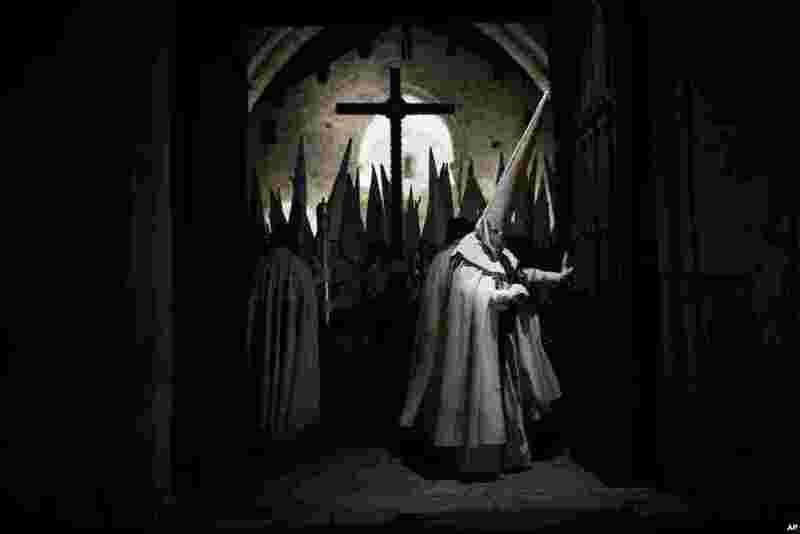 5 Penitents of the Jesus Yacente brotherhood take part in a Holy Week procession in Zamora, northern Spain, March 28, 2013. 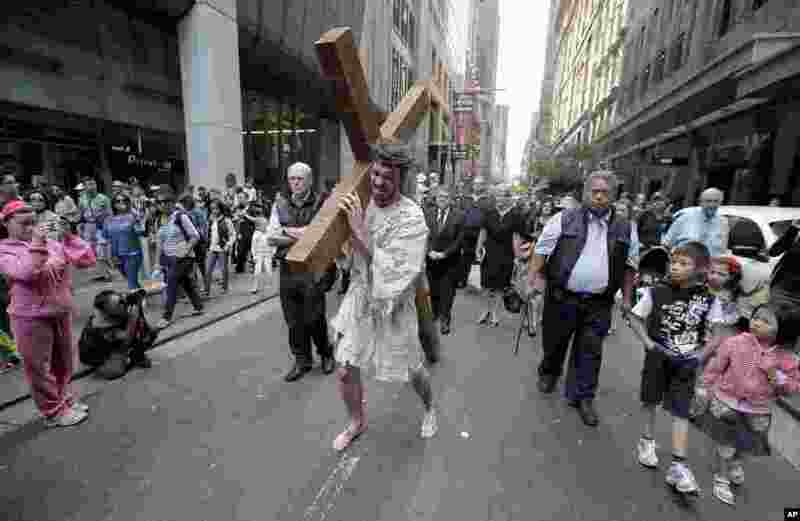 6 David Carnell, center, plays the part of Jesus Christ during a "Journey to the Cross" procession while celebrating Good Friday in Sydney, Australia, March 29, 2013. 7 Tourists watch as penitents, bloodied after self-flagellation, walk during a Good Friday crucifixion re-enactment in San Pedro Cutud, Pampanga province, Philippines, March 29, 2013. 8 Ruben Enaje, who was portrayed as Jesus Christ 27 times, as a nail is removed from his hand after being crucified during Good Friday rituals in San Pedro Cutud, Philippines, March 29, 2013.